A chocolate fountain can be used for many different reasons. It can be a centerpiece during a celebration or a party; it can be a delightful way to make chocolate fondue at home; or it can be used to create a definitive splash at a wedding. Chocolate can be heated in a microwave or a bowl and then added to a fountain. It may be noted that some home fountains come with heater elements which keep the chocolate in the fountain at a constant temperature. After the chocolate has completely melted, the fountain can be turned on. An augur pump will elevate the melted chocolate to the top of the structure. The chocolate will cascade down the many tiers of the fountain and finally land at the base or the basin of the fountain. It then gets pumped back to the crown. Chocolate fountains which do not have heater elements should only be used for up to 30 minutes at a time. This to avoid damage to the fountain. 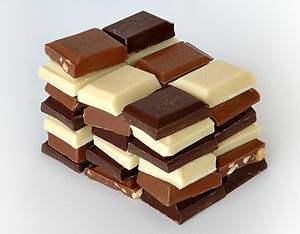 There are many kinds of chocolates which can be used in a chocolate fountain. However, the best and the most suitable chocolates are Belgian chocolates due to the high levels of cocoa in them. The brands available at supermarket or high street can be used in a home-based mini fountain. However, vegetable oil is needed when using such brands, so as to facilitate the smooth flow of melted chocolate. Most chocolatiers however do not suggest customers to go for this option as the chocolate taste tends to get affected. Callebaut is a Belgian brand which provides suitable chocolate fountain options which simplifies the entire process. Belgian chocolates have a superior taste as compared to other kinds, and is the recommended option for chocolate fountains. It is available in dark, milk, and white varieties. People who have a distinct taste and liking for chocolate can delight their taste buds by mixing dark and milk Belgian chocolates to get that unique flavor. In case you are using a white or cream theme for your party or celebration, then you can use white chocolate and create a white chocolate fountain to compliment the occasion and the ambiance. Such fountains can also be given varied colors, ranging from an exotic orange to a shocking pink. An ideal fountain for home use is the mini chocolate fountain. Such fountains are cheap and available across the United States.